BH model pneumatic piston vibrators are ideal for use on storage containers such as bins, hoppers, and silos to effectively promote material flow by eliminating the formation of bridges and rat holes. NAVCO vibrators for hoppers and bins work well as drives on linear motion vibratory feeders and they are ideal for use on screens and vibratory tables. Bin/Hopper vibrators come in 10 sizes to fit a wide range of applications. Linear Vibration – The forces generated by NAVCO pneumatic piston vibrators are linear, so they may be directed and concentrated in the problem area. In addition, no damaging shear forces are applied to the mounting bracket or storage vessel. Low Maintenance – NAVCO BH units provide years of effective performance when installed and operated properly. 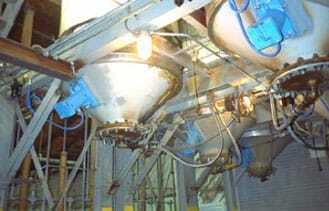 The unique NAVCO Bin Mapping methodology involves a detailed evaluation of the storage vessel and its intended bulk material. Recommendations are made based on a variety of factors including bulk density, particle size, moisture content, temperature, vessel size and shape. 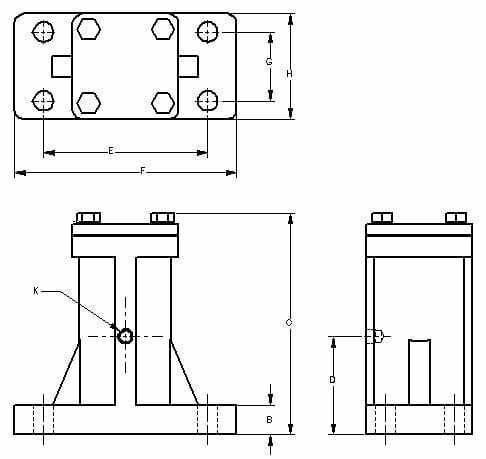 NAVCO pneumatic piston vibrators are sized for the application and their area of influence is determined. 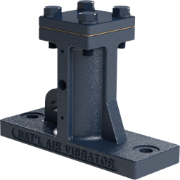 The vibrators are located on the bin or hopper so that the areas of influence overlap; vibrators are operated in a sequence that provides optimal flow pattern and minimal utility consumption.